The St. Regis New York is a luxury hotel in Midtown Manhattan and it’s one of the first afternoon teas I ever went to. With its gorgeous painted ceiling, the plush seating, and luxury setting, the experience was a delight. Over the years, Astor Court, the room where afternoon tea is served, has had a couple of redesigns. The latest redesign is much more masculine than previous renovations and I really miss the banquette seating in tones of blush and pink — it was perfect for bridal showers. 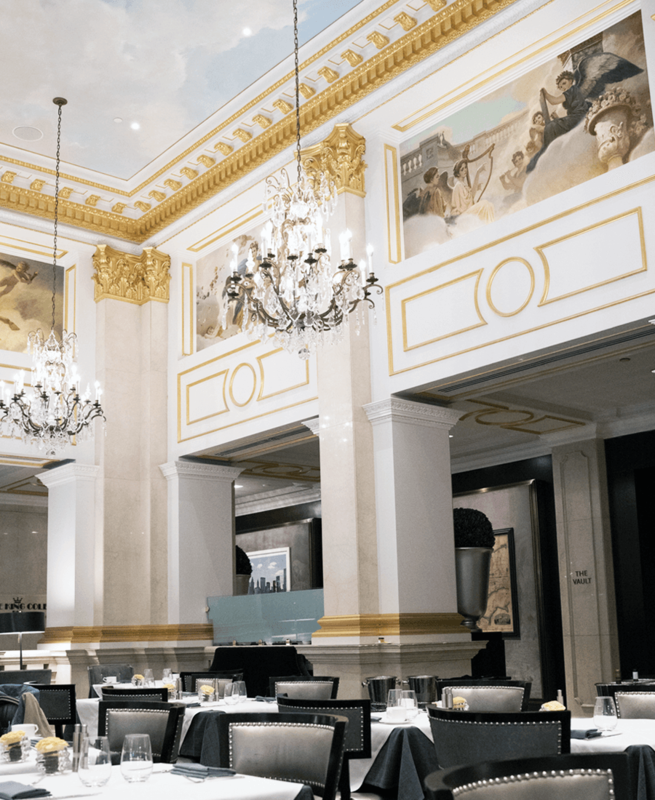 When people ask me where to go for a classic afternoon tea experience, The St. Regis New York always gets a mention. It’s on my top 5 list of places to have afternoon tea. Afternoon tea is a mid-day light meal of tea and three courses of mini bites. Usually the three courses are brought out all together on a three-tiered tray. It’s meant to be eaten with your fingers. The food is a set meal, so no a la carte options. You get whatever food everyone else gets with their order of afternoon tea. You do get to choose the tea though. 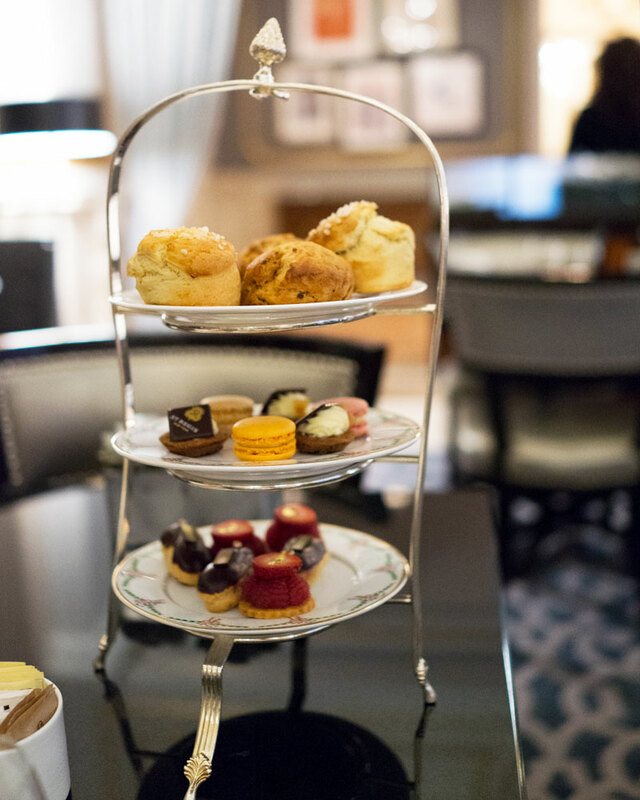 Does The St. Regis Have More Than One Type of Afternoon Tea on the Menu? 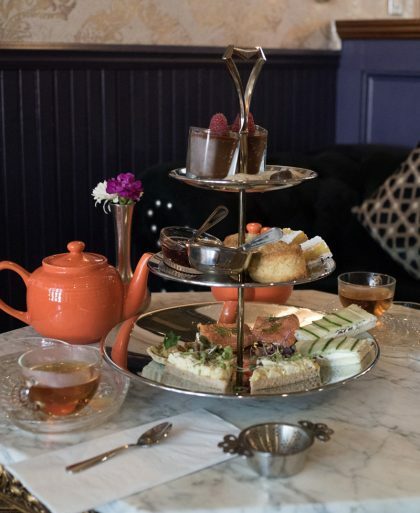 Yes, there are two afternoon tea options: Lady Astor’s Tea (the traditional and the one I always get) and Caroline’s Tea (food options are a bit more decadent). If you want to upgrade with caviar and Champagne there is an option to do so. 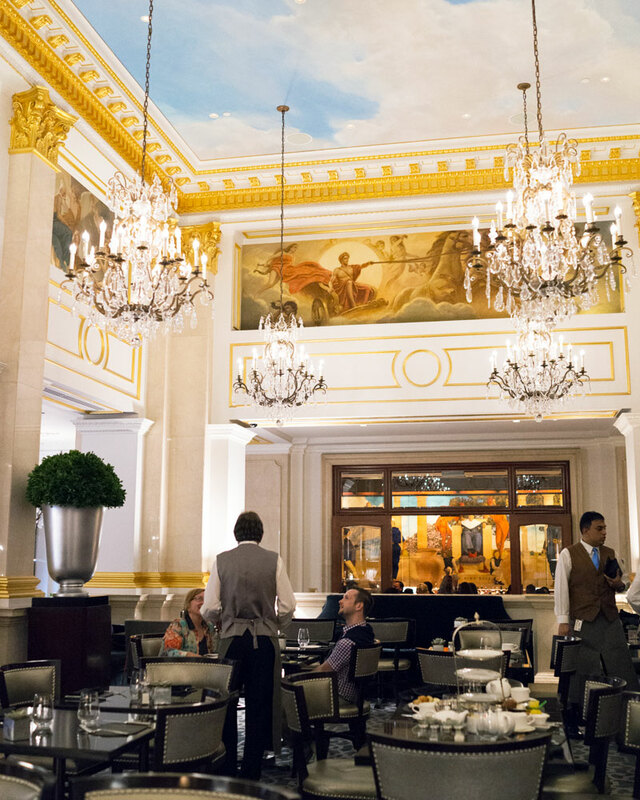 How Much is Afternoon Tea at The St. Regis New York? 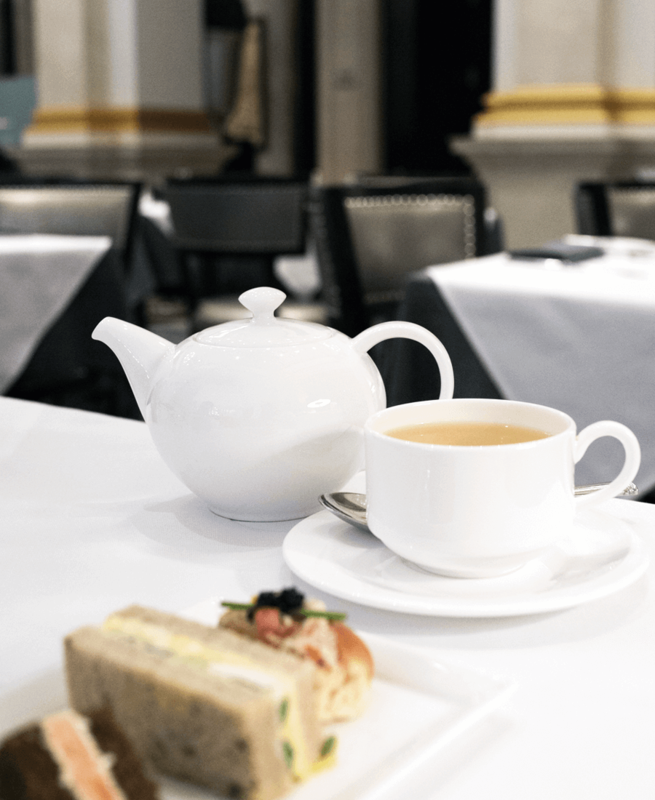 Lady Astor’s Tea is the classic afternoon tea and it’s $65 per person. It comes with a selection of five savories, scones, and an assortment of sweets. 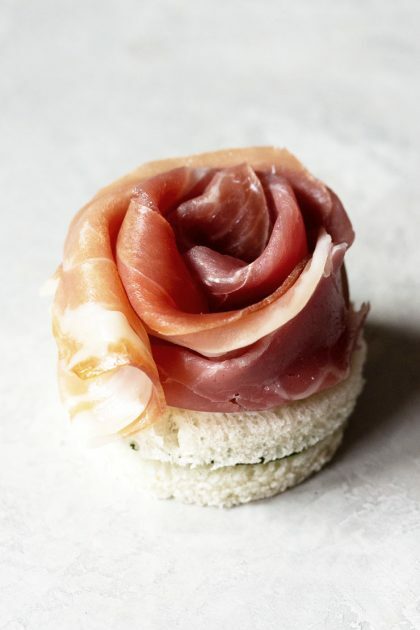 Caroline’s Tea is more at $85 per person and it’s a bit pricey due to an upgrade in the savory and sweets course — think caviar, duck prosciutto, and pavlova. 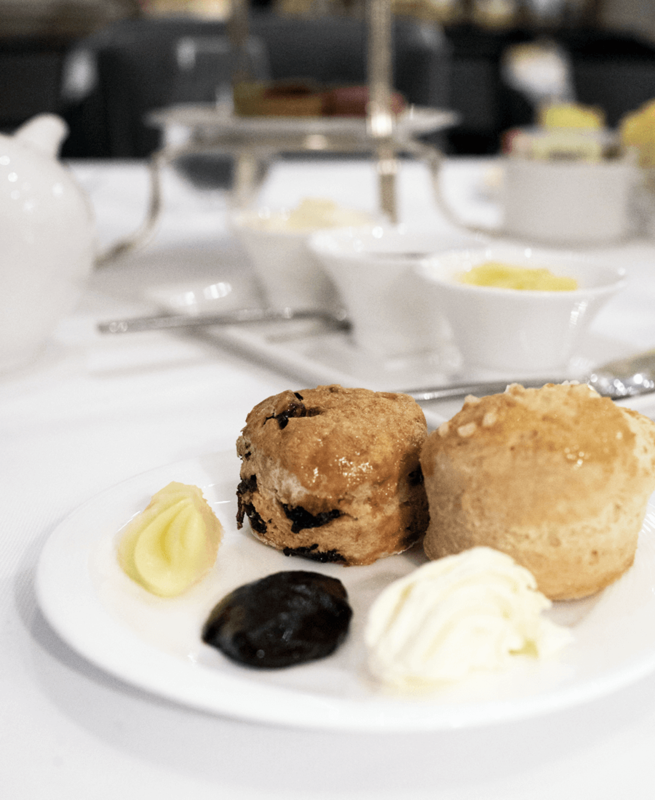 You can upgrade with Champagne or caviar to your afternoon tea for only $600 for two guests, and Lady Astor’s Tea or Caroline’s Tea is included in that cost. Do I Need to Make a Reservation for Afternoon Tea at The St. Regis? Yes, always make a reservation for any afternoon tea. What Do I Wear for Tea at The St. Regis? Dress code is smart casual, so look put together but dress comfortably. If you want to put on a party dress for tea, go for it! How Long is Afternoon Tea? Formal tea service usually lasts about two hours, give or take. Relax and enjoy every bite. What Time is Afternoon Tea at the The St. Regis? Traditionally, afternoon tea was at 4PM, but for most places they range anytime in the afternoon. 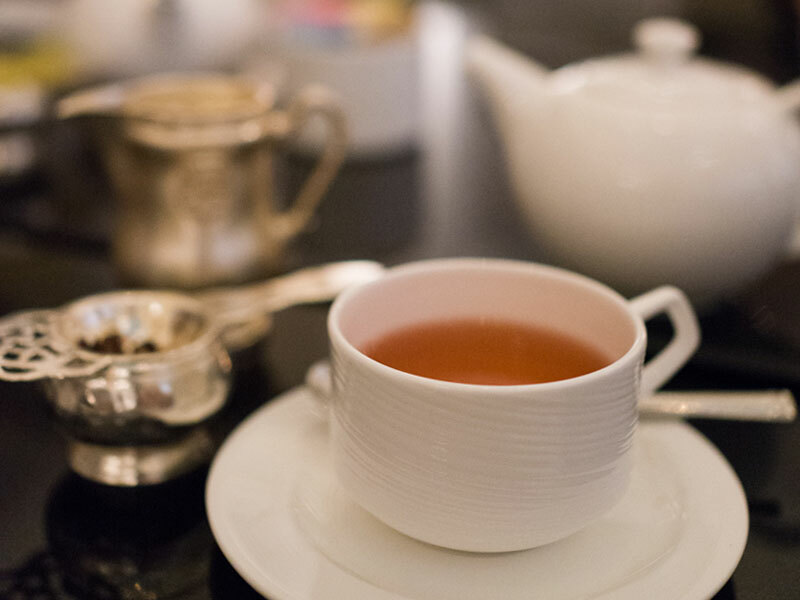 The St. Regis’ tea hours are from 3PM – 5PM and afternoon tea is served every day. 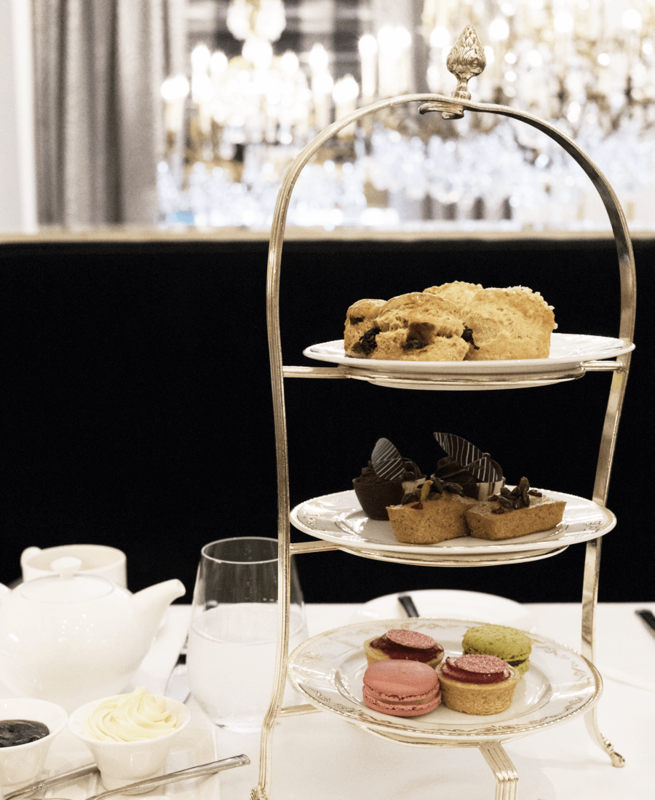 How Does Afternoon Tea at The St. Regis Work? 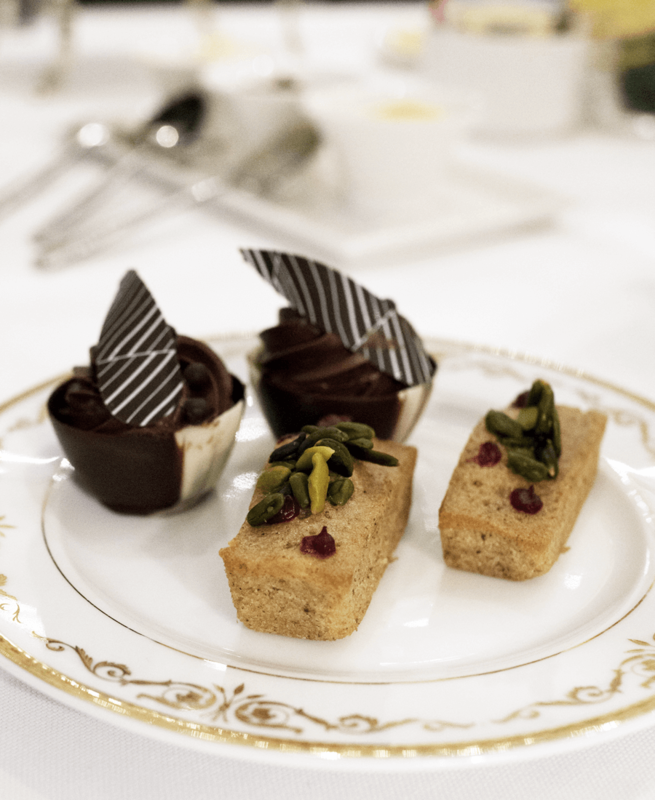 Afternoon tea is a set menu consisting of a tea of your choice and three courses of food. Because it’s a set menu, you don’t get to choose the food. 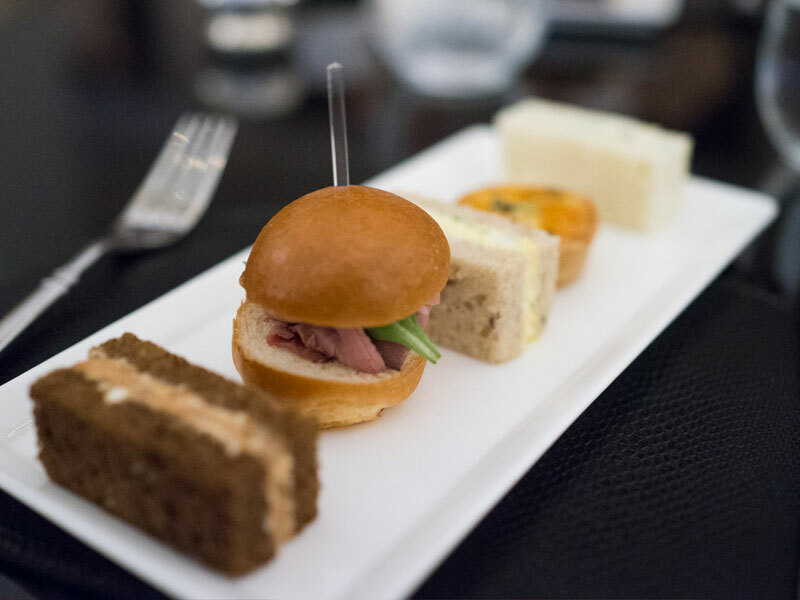 Everything listed on the set menu of the afternoon tea you choose comes with your order. 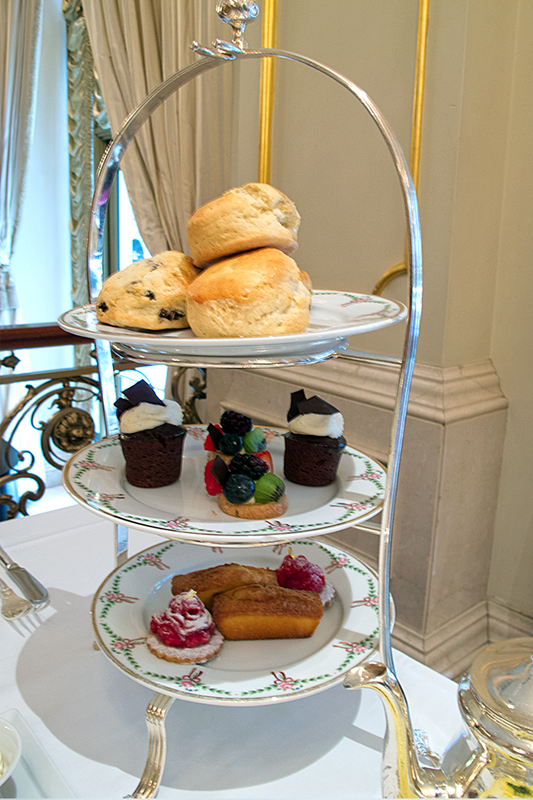 First choose your afternoon tea of either Lady Astor’s Tea or Caroline’s Tea. Next, take a look at the tea menu and make a tea selection. The tea should arrive to the table after your order is taken and you should start drinking that first. The food will arrive next. The St. Regis does their tea service a little differently. The savories come out on a ceramic rectangular plate. Once you finish all your tea sandwiches, they’ll take the plate away and bring out a three-tiered tray with scones and sweets. 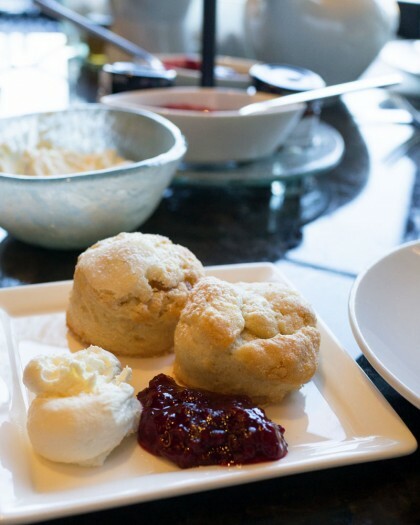 Eat the scones first with the Devonshire cream and preserves. The last thing you want to eat are the sweets. If you need more tea, ask for more hot water and they’ll refill the teapot. For the best photos, ask to be seated by the windows outside of the main dining area. Although be warned: there is less of an intimate vibe. Black and silver chairs with white tablecloths, the Astor Court definitely has a moody, masculine feel. It’s a modern look that visually feels a little cold with the dark and cool tones. It’s not the prettiest for an afternoon tea service but it still feels luxe. My friend Karen and I were initially seated in one of the chairs, but we moved to a sofa and I liked the plush seating option a lot more. I’ve been to The St. Regis many times over the years and the table service is usually very good. Once, I did encounter a snooty hostess but that’s not the norm. The service is usually attentive, although I wish they had checked in on us towards the end so that we didn’t have to wait so long to get hot water. All minor quibbles. 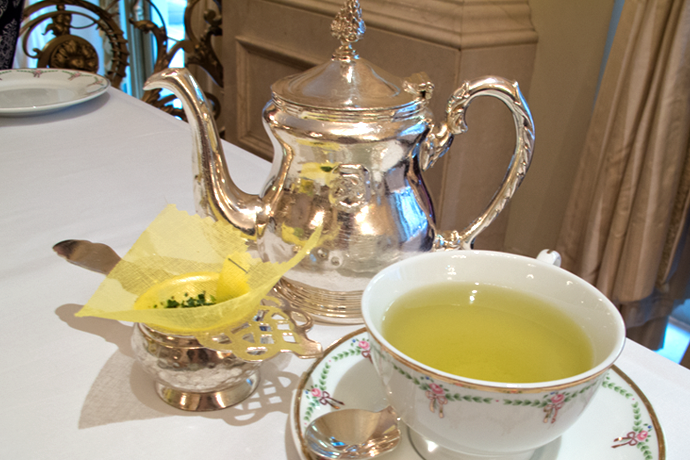 The St. Regis has a fantastic tea selection with a nice variety. The tea menu had a nice number of teas — not too many listed, not too few. I like to see three to five of each type of tea (black, oolong, green, white, and herbal) represented on the menu and it’s usually a good sign when I can’t choose since too many look tempting. On this visit, I ordered the Osmanthus Oolong which went well with each course. My preference with afternoon tea is usually black, oolong, or green tea. White tea is too subtle and can’t stand up to the flavors from the tea sandwiches and sweets and herbals are too meek for my liking. I love the savories here! Each tea sandwich was better than the next and everything tasted delicious and fresh. The variety was wonderful and I could have eaten two trays worth! 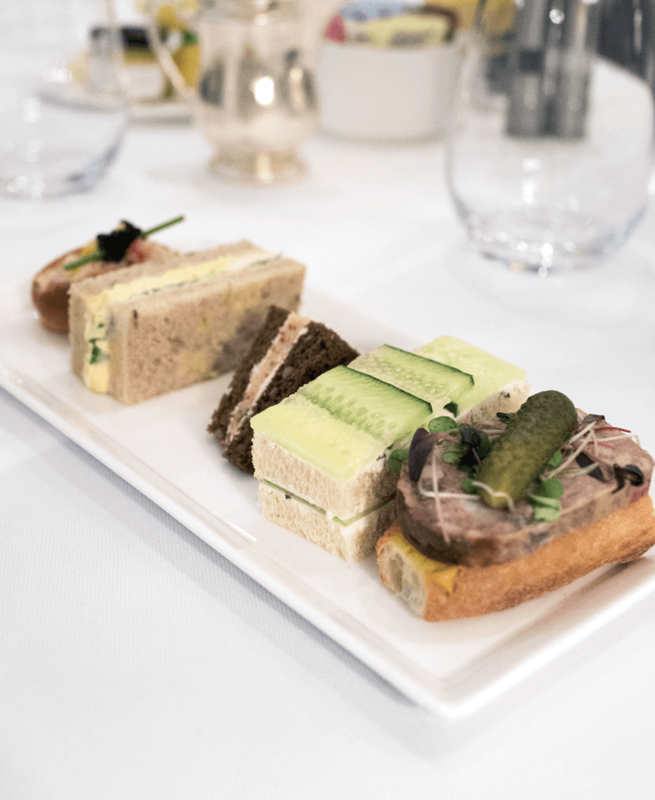 The savories are not over the top fancy but very approachable with a elegant take on the classics like the egg salad tea sandwich with the crusts expertly cut off. After the savories were done, they brought out the three-tired tray with scones on top, and sweets on the bottom two tiers. The Double Devonshire cream, preserves, and lemon curd arrived with the scones. As you can see, I plated them the same way as in my How to Eat a Scone Properly post with a scoop of each on my plate. Two scones per person, one raisin and one plain. They were pretty good and a good size — not too big. The sweets were good, but not especially memorable. They all started tasting the same. 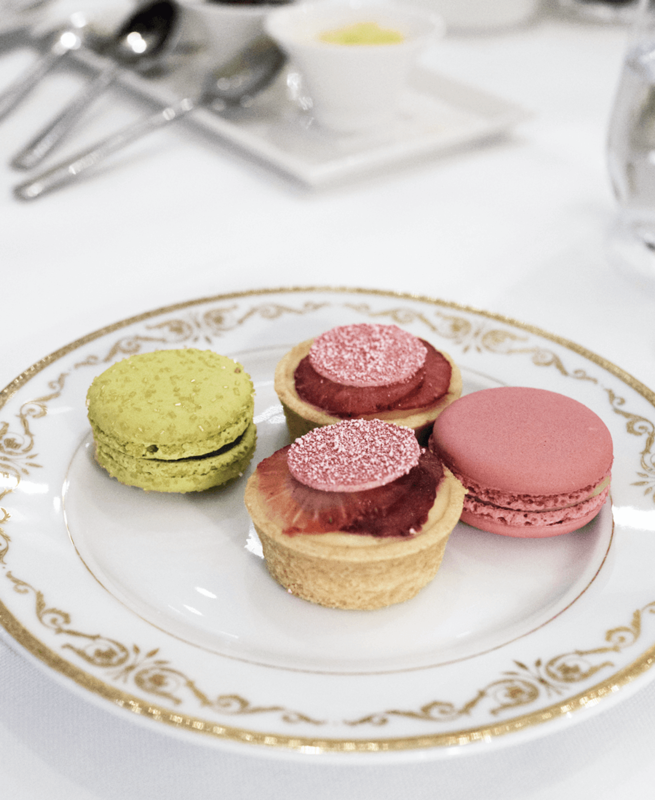 The macarons were surprisingly good with a nice delicate shell and slightly chewy filling. A solid afternoon tea experience. Astor Court in 2016. The only difference between now and then is they now have white tablecloths. Teaware was white porcelain with silver strainers. The three-tiered stand with the sweets and savories. The tea sandwiches were really tasty back then too. A very blurry photo of the three-tiered stand with sweet and scones. When they had tea in silver teapots. 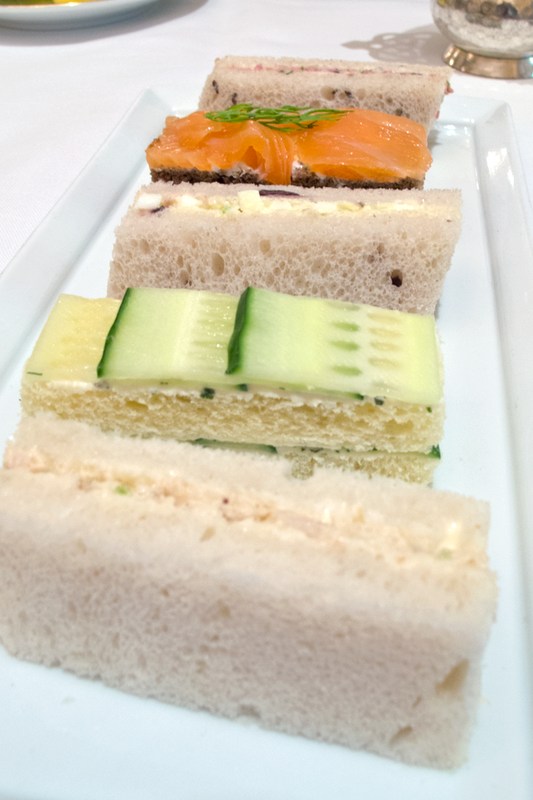 Tea sandwiches were always served separately from the three-tiered stands. Hi! I’ve recently discovered your blog, and oh how happy I am that I did! I want to do afternoon tea at either the St. Regis or the Lowell. We are a group of 10. What do you think is more special? This is for my 25th birthday. HI Mackenzie, I would say go with St. Regis. The fancy and grand setting and the dreamy ceiling is a nice way to celebrate a birthday with a group. Happy Birthday! Did I read that right? Adding champagne is $600, where at most other places it was about $20? Hi Casey, yup, it’s $600 for the Champagne for two. It’s not in addition to to the tea but the price for the afternoon tea plus the vintage 2006 Champagne. Apparently a special bottle as it comes signed by the winemaker and comes with two Champagne flutes.